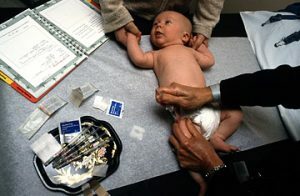 VACCINE INDUSTRY COVER-UP EXPOSED – Selected vaccine authorities from CDC, FDA, and manufacturers gathered together in June of 2000, in a closed meeting (the Simpsonwood Retreat) to discuss growing concerns over the risk of neurological damage and neurodevelopmental disorders resulting from vaccine components. Documents released through the Freedom of Information Act reveal detailed minutes of members of Government appointed Health departments and representatives from the vaccine industry comparing notes, and conspiring to white-wash the vaccine toxicity problem. This top secret meeting was held to discuss a study done by Dr. Thomas Verstraeten and his co-workers using Vaccine Safety Datalink data as a project collaboration between the CDC’s National Immunization Program (NIP) and four HMOs. The study examined the records of 110,000 children.